On March 10, 2013 our wonderful friend, Russ Smiley, was tragically taken from us. His infectious smile will live on in each of us. We have the sad task of notifying you of the death of Russell Smiley, Master trainer, former TCHC board member, and friend. Master Trainer Russ Smiley, died Sunday, March 10, 2013. Many of us have taken classes with Russ and remember his enthusiasm for teaching and how he was able to instill that enthusiasm in his students. He provided leadership in the formation of the Tai Chi for Health Community and the Tai Chi for Health Institute. He greeted everyone with his infectious smile and optimism. If there was anyone who lived up to his name, it was Russ Smiley! He may not be physically with us anymore, but we can all keep his spirit alive by taking what he shared and passing it onto others. And Russ will be smiling with us! Please take time today to reflect on his life and what he shared. Be aware of the comforting healing energy we are sharing through our Tai Chi Community via email. Join Dr. Lam, master trainers, and others who were touched by the warm smile and soft voice and aided by his wisdom in honoring the memories we hold. Dear TCHI Friends, I just got word that there will not be a formal burial for Russ. There will be a quiet cremation. The desire is to celebrate the life of our friend at World Tai Chi and Qi Gong Day by dedicating the day honoring Russ' life mission of healing the world one person at a time through Tai Chi, Healing Energy and Love. world on April 27th from 10 to 11 AM. This photo of Russ was taken before he collapsed. He is surrounded by love and has his trademark smile, totally enjoying every minute. Bloomington, Minnesota. He developed curriculums for and taught Tai Chi, Healing Qigong, and Stress Management, teaching students to make informed decisions about their health and life style. Russ was a passionate tai chi and qigong player for over 35 years. He practiced and taught Dr. Paul Lam’s Tai Chi for Health programs as well as Yang, and Sun Style forms. Last year, Russ took Dr. Lam’s Seated TCA program to the next level by developing a 2- day Seated TCA workshop and applying to AF and TCHI to teach for program certification. He felt proud to bring the healing power of tai chi to populations that might not have access to more traditional forms. I first met Russ when I took a Tai Chi class from him at Normandale. I had studied qigong and a bit of tai chi in the past, but after my class with Russ I knew I wanted to teach it as well. Soon Russ took me under his wing, urging me to get certified in TCA, and began to mentor me. Russ always emphasized the importance of teaching from the heart and putting the learner first. 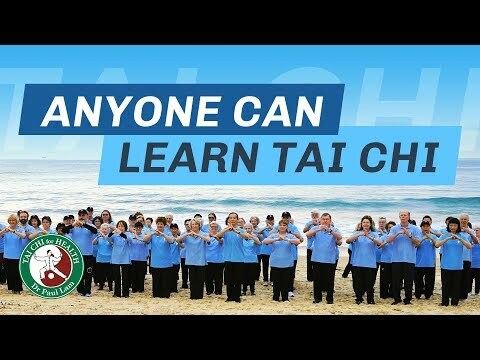 Russ’s enthusiasm for tai chi was evident in classes and TCA trainings; he made learning fun and low pressure, believing that humor helped people relax and learn. He worked closely with the Upper Midwest region AF to promote Dr. Paul Lam Tai Chi for Health Programs. The program has grown tremendously from the seeds Russ had planted. Currently, the Upper Midwest Region of the AF has the second highest class numbers reported in the country. Keith Root and I will continue Russ’s legacy. As a mentor, Russ challenged me to grow as a tai chi player and teacher. Russ always provided me with a vision and direction for roads he felt necessary for my development. I feel fortunate to have had the opportunity to work closely with Russ in organizing and assisting him in two successful Seated Tai Chi workshops, and introducing TCA to North Dakota. The biggest compliment Russ ever gave me was asking me to teach his classes during his sabbatical in 2011. Normandale College has asked to take over his classes to ensure the courses he developed will continue. Russ made everyone feel special. It didn’t matter who you were or what was happening in his life. When you stood before him, you were the most important person in world. A professor at Normandale shared an encounter he had with Russ while grabbing a rushed lunch. He was in a hurry and in a sour mood, but shared a few mundane comments with Russ. In a short 10 minutes, Russ completely turned his mood around. He left his conversation with Russ re-energized. Russ had that effect on people. He was always generous, always teaching, and always smiling. It is with great sadness that I have to report the loss of my best friend and comrade, Dr. Russell Smiley. His compassion and patience knew no bound. He had the gift of being able to keep the advanced students interested and challenged but also wait for the very last soul to catch up to their abilities. Many of you may have wondered why I didn’t post directly to the TCH group. I don’t think you can begin to imagine how many people Russ touched. While being a leader in the TCH community he was also involved with Sifu Fong Ha’s group out of Berkeley. He had more than 150 instructors that he certified in TCH programs. His college work entailed another 400+ students who were exposed to TCH and other classes. My cell phone grew heavy with emails and I decided immediately to lean on Ralph to be the point man for disseminating information even though he was busy at a workshop. He graciously accepted and I thank him for that. Thank you all for the support and loving wishes you expressed. A great ninja has fallen. My most vivid memory of Russ was when I had arrived early for the two day Tai Chi for Backpain workshop that preceded the week long workshop in Terre Haute, IN. I had only taken Tai Chi for Arthritis before so the only person I knew was Pat Lawson. When I registered they told me to look around the facility until the others arrived and registered. I found my way to the ballroom and opened the door. Inside the first person I saw was Russ. My first reaction was to close the door and retreat. Russ was practicing sword, along with someone else and there were several others doing forms at the far end of the hall. I felt like I had intruded but his smile said that it was alright. Throughout the weekend I spoke with Russ a little, and although I am sad to say that I didn't get to know him well, I will always remember him as the first face to welcome me to the Terra Haute workshop. I am sure he will be missed but more importantly he will be remembered fondly by people all over the world. That says a lot for a life well lived.